There are many alternatives out there to burning those leaves that are falling off of your tree. One thing that’s for sure about the fall is that there will be plenty leaves on the ground around your property. Even if you don’t have trees, it seems that the wind picks them up and spreads them across neighborhoods. If you’re considering your options about getting rid of all those leaves, think again before you resort to burning them. Burning your leaves causes air pollution and can be a fire hazard. The smoke that it produces can be irritating to your eyes and lungs, and can be especially unsafe if burned too closely to dwellings. Consider these alternatives to burning the leaves to remove them from your property. 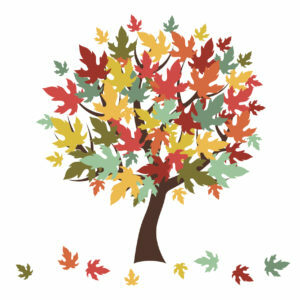 The first alternative to burning those falling leaves is to check with your municipality. They may offer the option to pick up those leaves for you after you’ve rake and gathered them all up. Get online to find the appropriate number to call, to find out if your municipality offers a service that will pick up those leaves for you. If so, you’ll most likely just have to rake up the leaves into a pile or a bag and leave them near the curb on a designated day to be picked up. Leaves are a great material for starting or adding to your compost. You’ll just have to add a thick layer of leaves to a mixture of soil and manure, periodically mixing it together to help it stay moist. The minerals from the leaves are great to keep the compost thriving. Grinding or shredding the leaves will yield the best composting results. Another great alternative to burning leaves is to use them to create mulch for your garden or plants. You can even use your mower to turn those leaves into mulch. Then once that is taken care of, those minerals in the leaves will again help provide nutrients to your vegetables and plants. This entry was posted on Thursday, December 7th, 2017 at 1:16 pm. Both comments and pings are currently closed.